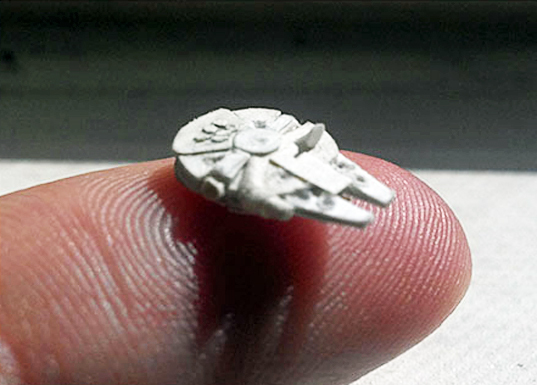 Little origami Yoda can now stand in good papercraft company, as sculptor David Canavese has created a miniscule half-inch Millennium Falcon! The San Jose-based artist took eight hours to complete the incredibly detailed miniature using only paper, glue, and the skill of a Jedi. He has also created other Star Wars ships, including a Blockade Runner that took almost a week to finish. Take a journey to his website and transport yourself to another galaxy far, far away.